Click on any of the links below to learn more about our credentials, or information you might find valuable. 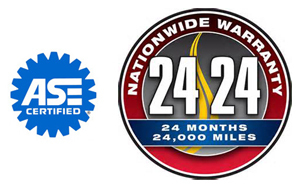 National Car Care Council - Information for the vehicle owner BY OWNERS!!! Want to know if other people are suffering the same problems with their vehicles? Want to see if yours has recalls? Wonder how recalls start or work? Do you know the laws governing Auto Repair Practices and what to do if you have a dispute? Learn more now!